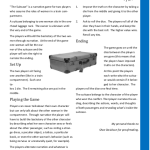 A new fast game is available in the “narration games” page: “The suitcase”. The Suitcase” is a narrative game for two players who assume the roles of women in a train compartment. A suitcase belonging to one woman sits in the overhead luggage rack. The owner is unknown until the very end of the game. The players will build the backstory of the two women through narration. 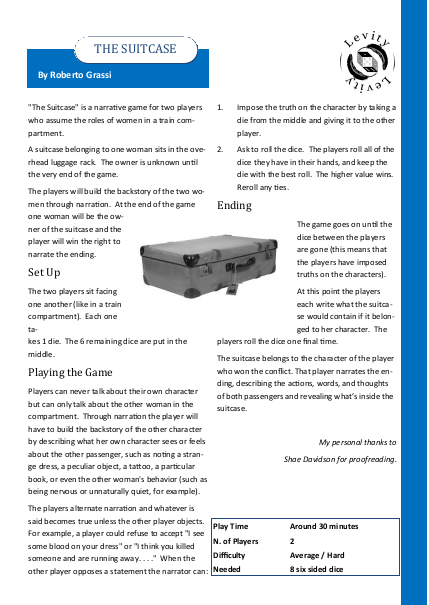 At the end of the game one woman will be the owner of the suitcase and the player will win the right to narrate the ending. Thanks to Shae Davidson for proofreading.